SUTHERLAND, PATRICK, military officer; fl. 1746; d. c. 1766. 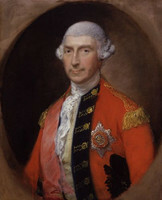 After serving at Gibraltar as a captain in the 45th regiment, Patrick Sutherland went to Louisbourg, Cape Breton Island, with that regiment in 1746. He commanded a detachment at Pisiquid (Windsor, N.S.) in 1752. In the spring of 1753, when arrangements were made for the founding of a colony at Merligueche (Lunenburg) and for the transfer there of “foreign Protestants” from Halifax, Governor Peregrine Thomas Hopson made Captain Sutherland, second in command to Lieutenant-Colonel Charles Lawrence during the establishment of the new township and officer commanding at Lunenburg when Lawrence returned to Halifax. Sutherland was appointed lieutenant-colonel of the Lunenburg militia regiment on 10 May 1753 and justice of the peace and custos rotulorum for the township of Lunenburg on 26 May. Except for short intervals Sutherland remained in charge at Lunenburg for about nine years, endeavouring to maintain order, to provide security, and to promote the welfare of the settlers. His initial concern in the summer of 1753 was with the disposition of troops – some 90 regulars and 70 rangers – and with the building and manning of blockhouses. Within a few weeks two blockhouses were built, and work was begun on a palisade to stretch across the neck of the peninsula on which the town stood. The settlers soon took possession of the town lots for which they had drawn shortly before leaving Halifax, and later that year garden lots and farm lots were laid out. There was dissatisfaction, however, among many of the settlers, frustrated by waiting in Halifax for up to four years before being given their land, and with grievances over the cost of ocean passages and the kinds of goods the government had supplied. It erupted in an armed insurrection in December 1753 [see Pettrequin]. Sutherland tried to persuade the settlers to discuss their grievances peaceably, but finally found it necessary to summon troops under Robert Monckton* from Halifax to disarm them. During the winter of 1754–55 the settlers, who had cleared a considerable amount of land, sustained substantial losses from a cattle distemper. Captain Sutherland applied to the government of Nova Scotia for seed corn for their subsistence, and wheat and oats were purchased for them. As more Lunenburg inhabitants settled on farm lots at a distance from the town, the death-rate at childbirth rose. On Sutherland’s suggestion, the council advised in April 1755 that two midwives should be appointed to reside among them. Victualling was a special concern for Captain Sutherland. The initial one year’s rations had been extended for a year. In June 1755 Sutherland reported that “the most deserving here cannot Subsist without the Governments Assistance. . . . I leave you to Judge of my Situation,” he added, “. . . there being between Fifteen and Sixteen hundred Souls who have not a mouthfull of Bread, not a Barrel of Flour to Sell, had they money to buy it as they have not. . . .” Through Sutherland’s help the settlers obtained victualling for a sufficient time to make progress on their lands. Prospects were so promising by the summer of 1756 that Sutherland established a weekly public market in the town, “for Selling & Buying, all kinds of Goods & Cattle.” The farm settlers were still “much intimidated” by Indians, and Sutherland persuaded the council in June 1756 to authorize the construction of two new blockhouses – on the La Hève (La Have) River and between that river and Mahone Bay. In the spring of 1758 Captain Sutherland was relieved of his duties at Lunenburg so that he could take part in the expedition against Louisbourg, which had been returned to the French in 1749. During the siege he commanded a post at the bottom of the northeast arm of the harbour; a party of Indians and French was repulsed there on 16 July. Following the capture of Louisbourg, Sutherland returned to Lunenburg. After the creation of Lunenburg County in 1759 he was commissioned justice of the peace for the town and county and custos rotulorum on 5 March 1760. A month later he was appointed justice of the newly established Inferior Court of Common Pleas for Lunenburg County. Early in 1761 Sutherland was promoted major in the 77th Regiment of Foot. At the request of General Jeffery Amherst* and the Nova Scotia Council, he remained in Nova Scotia. It was believed he could be useful in the establishment of new settlements. 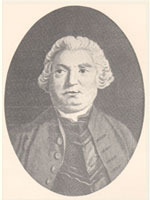 In September 1762 he was in charge of a battalion from Halifax which assisted in the recapture of St John’s, Newfoundland, and he commanded the troops sent to take possession of the town’s gate. He returned to Halifax in the autumn. Sutherland was still in Halifax in 1763 and is shown as a major on full pay in the army list of 1766. His name does not appear in the list for 1767, and a note dated 20 Jan. 1768 on a list of commissioned officers in the Lunenburg militia states that he is dead. PANS, MG 1, 249–50; RG 1, 38A; 134; 163; 164/2, pp.26, 27; 165; 342; 382; 397; RG 3, Minutes of Nova Scotia Council, 1753–63; RG 20. PRO, WO 34/12, 34/13 (mfm in PAC, MG 12, 1365). [William Amherst], Journal of William Amherst in America, 1758–1760, ed. J. C. Webster (Frome, London, Eng., 1927). Army list, 1756; 1761; 1766; 1767. E. W. H. Fyers, “The loss and recapture of St John’s, Newfoundland, in 1762,” Society for Army Hist. Research (London), Journal, XI (1932), 199, 205. [Charles Lawrence], Journal and letters of Colonel Charles Lawrence (PANS Bull., 10, Halifax, 1953). The recapture of St John’s, Newfoundland, in 1762 as described in the journal of Lieut.-Col. William Amherst, commander of the British expeditionary force, ed. J. C. Webster (privately printed, 1928). Bell, Foreign Protestants. M. B. DesBrisay, History of the county of Lunenburg (2nd ed., Toronto, 1895). Prowse, History of Nfld. Charles Bruce Fergusson, “SUTHERLAND, PATRICK,” in Dictionary of Canadian Biography, vol. 3, University of Toronto/Université Laval, 2003–, accessed April 19, 2019, http://www.biographi.ca/en/bio/sutherland_patrick_3E.html.